The 30-year-old from Calgary, who has already won two of the first three women’s World Cup races this season in the only current Olympic female category of the two-woman bob, gained extensive larger-scale experience last season after the International Bobsleigh Skeleton Federation declared in September 2014 that four-man bobsleigh would be open to men and women. Humphries duly competed in most of the 2014-2015 World Cup four-man races with three men’s push athletes and recorded a best finish of 14th. Elana Meyers Taylor of the United States, the current world champion, also piloted three male team-mates. 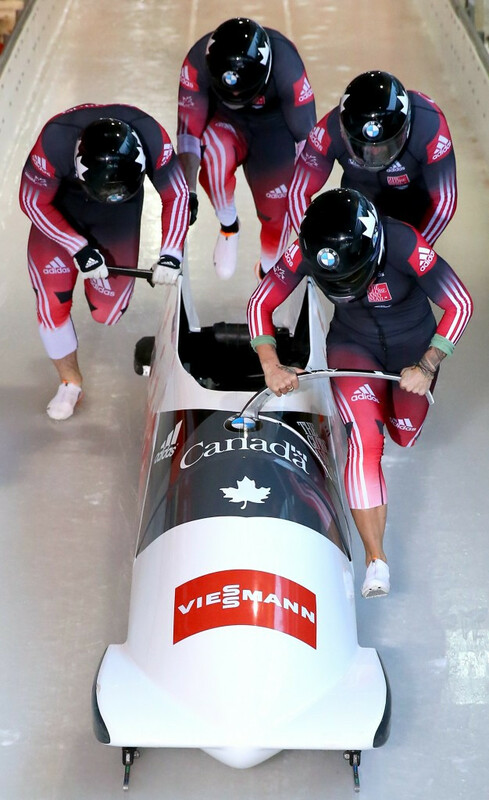 For this World Cup season, which started in November, Humphries successfully lobbied the Canadian Federation to allow an all-female team to compete after a lack of available male brakemen for a third Canadian four-man bob put its running in jeopardy. So now the first female bobsleigh pilot to retain the Olympic title is stepping up to a challenge – along with team-mates Melissa Lotholz, Genevieve Thibault and Cynthia Appiah – which is at another level. "We're going to go out and do the best we can and it would be amazing if we can beat some of the tiny, tiny nations that aren't necessarily the best in bobsleigh with the women's crew," Humphries said. "It's the most massive learning curve you can possibly imagine." It’s a learning curve that has been followed with varying degrees of success by other bold sporting women, with the higher achievements being registered, as you might expect, in activities where physical size and strength is relatively unimportant. Given her extraordinary competitive spirit, for instance, you imagine that if Humphries’s expertise involved horses rather than terrifying sleds the gold medals she has already won at Olympic and world level would span beyond women-only competition. 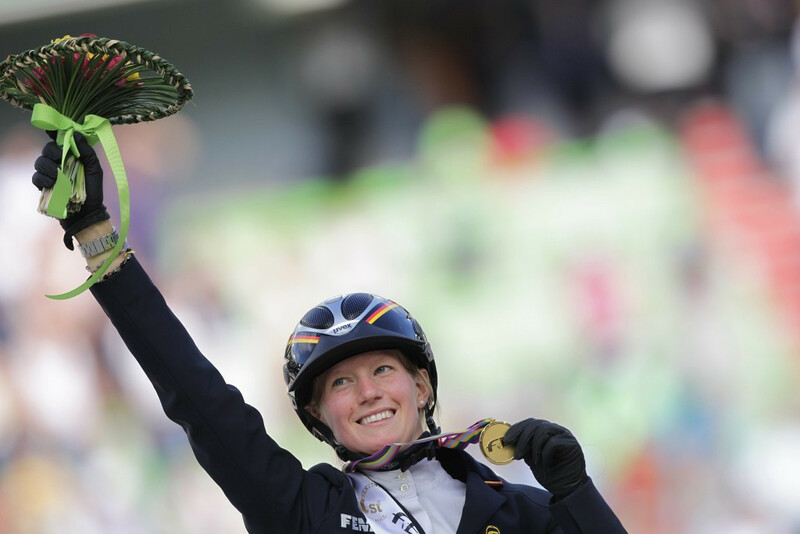 The world eventing champion, for instance, is Germany’s Sandra Auffarth, riding Opgun Louvo, on whom she won individual bronze at the London 2012 Olympics behind respective gold and silver medallists Michael Jung of Germany and Sara Algotsson of Sweden. There have been four previous female winners – all British – of a Championship which began in 1966: Zara Phillips in 2006, Virginia Leng in 1986, Lucinda Green in 1982 and Mary Gordon-Watson in 1970. Horses too have offered other female sportsmen the opportunity to register their superiority over male counterparts. In August last year, Britain’s retired multiple Olympic and world champion cyclist Victoria Pendleton narrowly missed victory on her competitive horse racing debut, finishing second in the Betfair Novice Flat Amateur Riders' Handicap at Ripon on Royal Etiquette. She is currently planning to ride at this year’s Cheltenham Festival. Down the years there have been other outstanding women jockeys who have finished respectably, or even better than that, in male fields. Diane Crump, the first female jockey to compete in a Thoroughbred race in the US, finished 10th on a 48-1 runner at the Hialeah Park Trace Track in Florida in February 1969. But in November the greatest flourish so far in this particular arena was achieved by the redoubtable Michelle Payne, who began her day as only the fourth female jockey to ride in the £2.8 million ($4 million/€3.7 million) Melbourne Cup in its 155-year history. 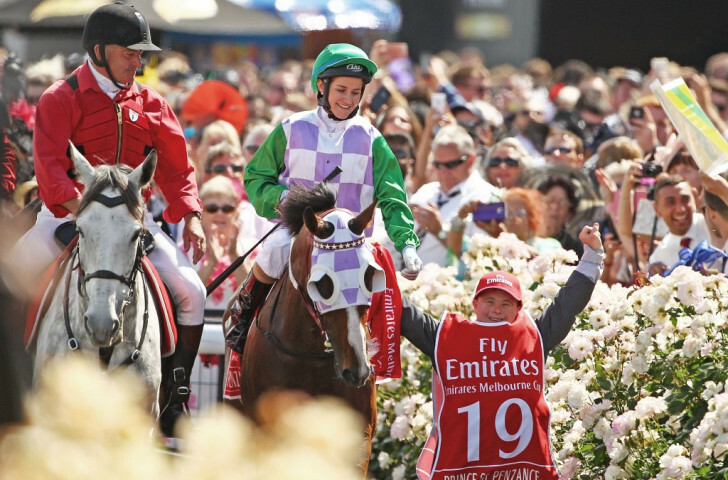 She ended it – aboard 100/1 shot Prince of Penzance – as the first female winner. Afterwards the 30-year-old Aussie produced memorable words to match her actions as she praised trainer Darren Weir and co-owner John Richards for giving her the ride despite widespread opposition and doubt. “To think Darren’s given me a go and it’s such a chauvinistic sport," she said. "I know some of the owners were keen to kick me off Prince but John Richards and Darren were really solid with me. Beating the world is an option for women in a limited range of other sports. Several women golfers, including Annika Sorestam and Michelle Wie, have played against men in individual events in recent years, but neither of them have matched the achievement in May 2011 of Canadian golfer Isabelle Beisiegel, who became the first female golfer to earn a playing card on the men’s professional tour. In 2005, Italian motocross rider Stefy Bau became the first woman to compete in the World Motocross Championship. 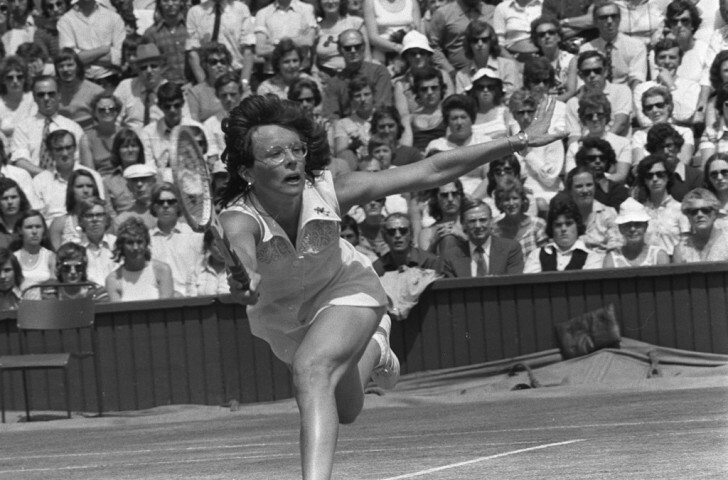 And of course multiple tennis Grand Slam winner Billie Jean King rallied memorably to the female cause in 1973 when she eventually responded to the challenge repeatedly thrown out by former world number one male player Bobby Riggs, who maintained he could still beat leading women’s players despite being 55. The $100,000 (£69,000/€92,000) winner-takes-all match, billed as the Battle of the Sexes, took place at Houston Astrodome – and King won 6-4, 6-3, 6-3. But when it comes to supremacy, female sporting options have been limited. Ultra racing cyclist Seana Hogan is one of the greatest competitors in the history of the sport, male or female. During her career, Hogan has set a number of world records in cycling and won countless transcontinental races. English sailor Dame Ellen MacArthur is another winner in a traditionally male arena. In 2005, MacArthur broke the world record for the fastest solo circumnavigation of the globe. More than a century earlier, at the 1902 World Figure Skating Championships, Madge Syers became the first woman skater to compete against men after noticing that the rules did not actually stipulate the gender of prospective competitors. The legal loophole may have been her finest manoeuvre, but there were plenty of others on the ice as she won the silver medal. Indeed, most observers were convinced that she had deserved the gold. Legend has it that was also the opinion of the official winner - Sweden’s Ulrich Salchow, the future President of the International Skating Union, after whom the Salchow jumps are named. He was reported to have slipped the gold medal off his own shoulders and onto those of Syers.